Reference: Dolman, C.E. 1984. “Theobald Smith, 1859-1934: A Fiftieth Anniversary Tribute.” ASM News. 50:12 577-80. This entry was posted in Year 3 TDIWH and tagged drinking water, fermentation tube, public health, Smith tube, Theobald Smith, water, water history on July 31, 2015 by safedrinkingwaterdotcom. July 30, 1894: New York Times Headline. Jersey City’s Foul Water; Sewage-Filled Passaic the Source of Its Supply. “Plenty of Good Drinking Water to be Had and Many Syndicates Ready to Furnish It — None, However, Has Influence Enough to Get a Contract — Tremendous Debt a Serious Obstacle, but Public Health Demands a Change. The people of this city are thoroughly satisfied that they have the worst drinking water to be found anywhere in the United States. This is no sudden conclusion of theirs. It is the result of a steady growth, born of an experience extending over eight or ten years. When the Passaic River was first tapped as a source of supply, the water was pure. Dr. Chilton of New York and Prof. Horsford of Yale University, who made the analysis, pronounced it better than the water supplied to Philadelphia, New York, or Albany. But that was forty years ago, and the Passaic of 1854 was very different from the river of today. Then the towns on its banks were merely hamlets. Paterson was only a village and Passaic and Belleville were mere dots on the map. None of them had any sewers to empty into the river, there were no factories along the banks to pollute the waters, and the fluid brought to Jersey City was limpid, clear and sparkling. Commentary: The article goes on to catalogue the evils of the lower Passaic River as a source of supply. It would not be until 1899 that a contract was signed with Patrick H. Flynn to develop a new water supply 23 miles west of the city by building a dam on the Rockaway River forming Boonton Reservoir. It was to this water supply that Dr. John L. Leal added chlorine for the first time to disinfect drinking water for consumers. The story forms the basis for my book, The Chlorine Revolution: Water Disinfection and the Fight to Save Lives, which was published in 2013. 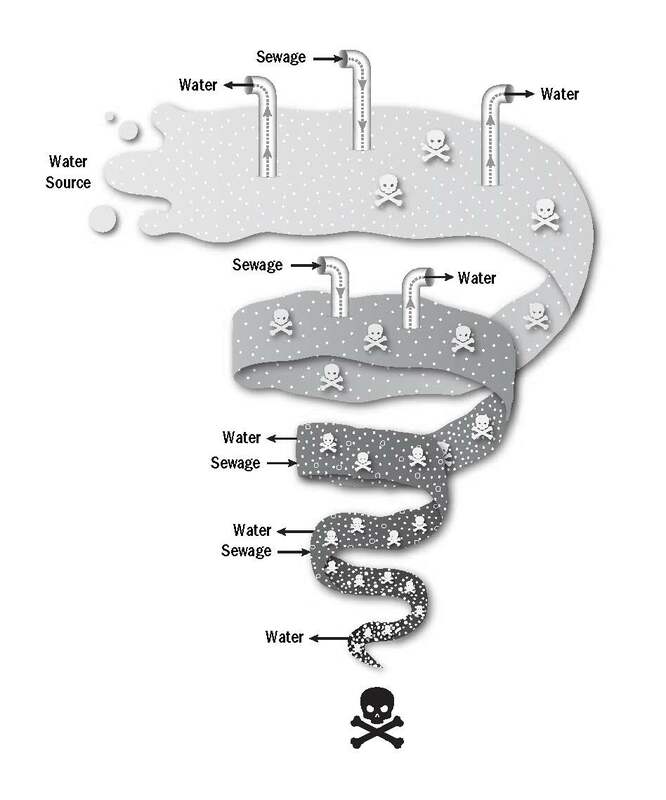 The Sewer Pipe, Water Pipe Death Spiral was developed for the book and succinctly describes the water contamination problems of the late 19th century. This entry was posted in Year 3 TDIWH and tagged chlorine, drinking water, Jersey City, John L. Leal, public health, The Chlorine Revolution, water, water history on July 30, 2015 by safedrinkingwaterdotcom. July 29, 1911: New York Times headline. Stops Fare Advance on Jersey Roads. “As soon as the rate matter had been disposed of the commission, sitting in the Essex County Court House, Newark, NJ went into a hearing on the question of the railway drinking cup, which the Jersey Legislature recently legislated out of existence. Practically every railroad in New Jersey was represented, and all the roads are fighting the suggestion that individual cups of paraffin or any other like substance be substituted at the railroad’s expense for the outlawed common drinking cup. State Senator H. V. Osborne was present to urge that the roads be required to meet the situation promptly and practically so that the honest thirst of the traveling public will not go unslaked. For the Lehigh Valley it was stated that while the public drinking cup had been taken away promptly when the law became effective, no substitute had been found. The company was considering the matter, but had not determined what could be done. The company, however, is still supplying ice water in its coaches. At this point State Senator Osborne said the roads could very well afford to furnish individual drinking cups since they had not long ago raised the passenger rates, and were now proposing to raise them again. The suggestion did not seem to meet with instant favor from the railway representatives. Mr. Osborne stuck out, though, that the suggestion was entirely reasonable and the plan practicable. The most radical position against the roads’ doing anything seemed to be taken by W. G. Besler of the Jersey Central. At one time he argued so earnestly against giving the public anything to drink from that some present thought he was arguing on the other side. He said he had rarely seen any one drink out of the common cups as if to prove that people didn’t get thirsty on trains whether the weather was hot or not. 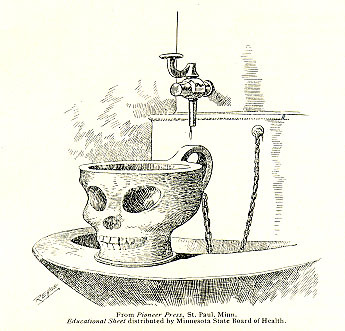 Some who heard him at once suggested that the reason people didn’t drink was because they preferred to go thirsty rather than drink from the common cup, with its attendant risks of catching disease. Commentary: Interesting picture of customer service at the turn of the 20th Century. This entry was posted in Year 3 TDIWH and tagged common cup, drinking water, public health, water, water history on July 29, 2015 by safedrinkingwaterdotcom. especially worthy of note as indicating advancement and the confidence which the Legislatures of these States must feel in these State Boards of Health.” From the reports of the secretaries of the Boards of Health of the several States they abstract a number of statements showing what is being accomplished by them. In Massachusetts the use of ·the larger rivers as direct sources of public water supplies without purification has practically ceased; but polluted river waters are still used in many factories and mills for purposes other than drinking [however, incidental drinking of these waters was well known]. 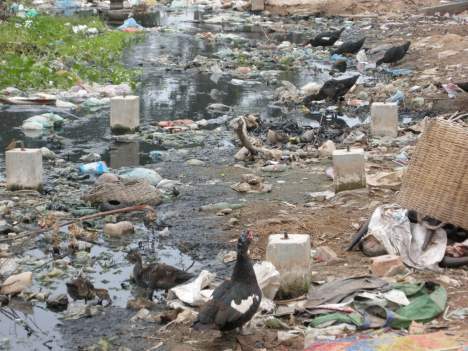 Of the 92 cities and towns in that State having systems of sewerage, four cities and 19 towns employ some form of treatment for the removal of organic matter from the sewage. This is exactly one-fourth of the total number. In New Jersey there are 54 sewage purification plants in operation or ready for operation by municipalities and large public institutions. The policy of that State is to allow no untreated sewage to be discharged from new systems into waters of the State. The Board of Health is also compelling municipalities to install purification plants on existing sewerage systems, and 22 are now under orders to cease pollution of the streams, these including all municipalities on the Delaware River. The Ohio State Board of Health has been asked to investigate 18 complaints under the act prohibiting stream pollution, and has ordered sewage disposal works to be installed in four of the cities before Jan. 1, 1910. The constitutionality of the law under which they act has been questioned, but if decided in their favor they hope to prevent the pollution of all the streams in the State. In Michigan there are several cities and villages using septic tanks, and the Legislature is being urged to pass laws for the control of water supplies and treatment of sewage. In California the size of the streams affords such dilution as to prevent serious trouble [seriously??? ], but the State Board of Health is endeavoring to cultivate a sentiment against allowing sewage to enter them. In Florida the reverse is the case, most of the streams being small or sluggish and many of the towns and cities, particularly in the interior, use filtration plants. In Maryland many of the larger towns maintain sewage disposal plants, but about 120 restraining orders have been issued against municipalities and corporations during the past year on account of stream pollution. It is reported that the large rivers of the western shore are polluted, some badly. In New Hampshire there is not a single sewage disposal plant in operation, but the State Board of Health has prohibited the pollution of several of the lakes and streams from which public water supplies are taken and reports that none of these, except the Merrimac and Connecticut rivers, can be said to be badly polluted. Indiana’s new anti-pollution law, passed this year, forbids the pollution of streams, its enforcement being in the hands of the State Board of Health. The condition there is said to be a serious one, as the ground water supply is giving out, except in the northern part of the State, and all water supplies must be obtained from the streams. In Texas the question of stream pollution is assuming prominence. Houston treats its sewage on 15 acres of sand filters; but, in general, the question is just beginning to assume importance, the centers of population being quite widely scattered. Wisconsin aims to for bid absolutely the discharge of crude sewage into any of its waterways. Septic tanks and filter beds are used quite extensively. Commentary: The article is reprinted here in its entirety because it is an astonishing time capsule against which we can measure our progress. The important thread that runs through most of the state reports is that pollution of waterways was prohibited by state law. However, we know from other sources that these laws were seldom enforced or had penalties that were too lenient, so they were ignored. This entry was posted in Year 3 TDIWH and tagged Board of Health, drinking water, pollution, public health, sewage, water, water history on July 28, 2015 by safedrinkingwaterdotcom. July 27, 1976: Outbreak of Legionnaire’s Disease in Philadelphia. “On July 21, 1976, the American Legion opened its annual three-day convention at the Bellevue-Stratford Hotel in Philadelphia, Pennsylvania. More than 2,000 Legionnaires, mostly men, attended the convention. The date and city were chosen to coincide with America’s celebration of the 200th anniversary of the signing of the Declaration of Independence at Philadelphia in 1776. On July 27, three days after the convention ended, Legionnaire Ray Brennan, a 61-year-old retired Air Force captain and an American Legion bookkeeper, died at his home of an apparent heart attack. Brennan had returned home from the convention on the evening of July 24 complaining of feeling tired. On July 30, another Legionnaire, Frank Aventi, aged 60, also died of an apparent heart attack, as did three other Legionnaires. All of them had been convention attendees. Twenty-four hours later, on August 1, six more Legionnaires died. They ranged in age from 39 to 82, and, like Ray Brennan, Frank Aventi, and the three other Legionnaires, all had complained of tiredness, chest pains, lung congestion, and fever. Commentary: I was in Florence, Italy writing my PhD dissertation when this happened. The only way I could communicate with my advisor, Mel Suffet, at that time was by telegram [no internet, no email, no phone, mail took a month]. 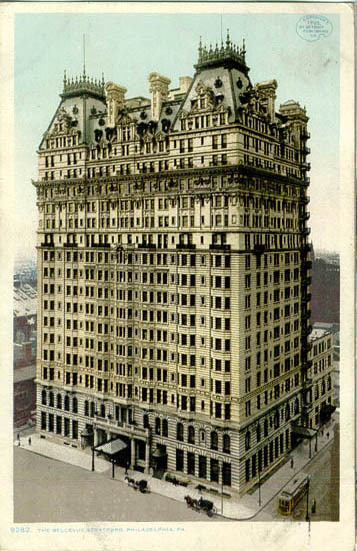 Sometime in August I got a strangely worded telegram from Mel that he and some graduate students had gone into the Bellevue Stratford Hotel and sampled drinking water and had taken the activated carbon filters out of the drinking fountains to look for toxic chemicals. The disease was a big mystery at the time. However, the telegram was so weirdly constructed that I initially thought that Mel had contracted the mystery fever. Fortunately, that turned out not to be the case. 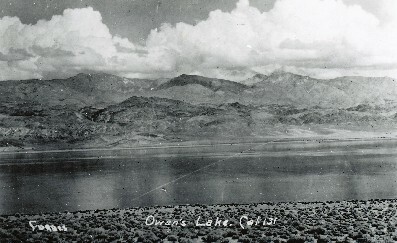 July 27, 1905: Los Angeles Board of Engineers meet to consider Owens Valley supply. “The Board of Engineers who were to make that recommendation met on July 27, 1905. From an engineering standpoint, the project was viable. One of the commissioners had previously met with [Stafford Wallace Austin, the Land Register for the Owens Valley] and made sure discussions about the project gave serious consideration to his protest. However, the economic feasibility of the project was in question. The Board saw Los Angeles’ ownership of the Long Valley Reservoir site and 50 miles along the river as a great impediment to proceeding with a Reclamation Service project. The Secretary of the Interior, the cabinet member responsible for the Reclamation Service, made no decision until much later. [William] Mulholland returned from a car trip to the Owens Valley not two days after the Board of Engineers had met. His statement, “The last spike is driven…the options are secure,” was the City’s verdict on the project. This entry was posted in Year 3 TDIWH and tagged drinking water, Legionaire’s disease, legionellosis, Los Angles, Owens Valley, public health, water, water history, water supply, William Mulholland on July 27, 2015 by safedrinkingwaterdotcom. July 26, 1930: Death of Allen Hazen. 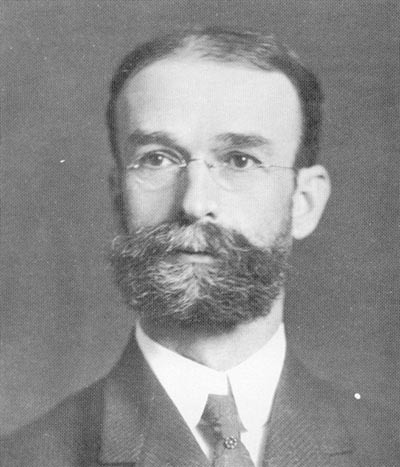 “Allen Hazen (1869–1930) was an expert in hydraulics, flood control, water purification and sewage treatment. His career extended from 1888 to 1930 and he is, perhaps, best known for his contributions to hydraulics with the Hazen-Williams equation. 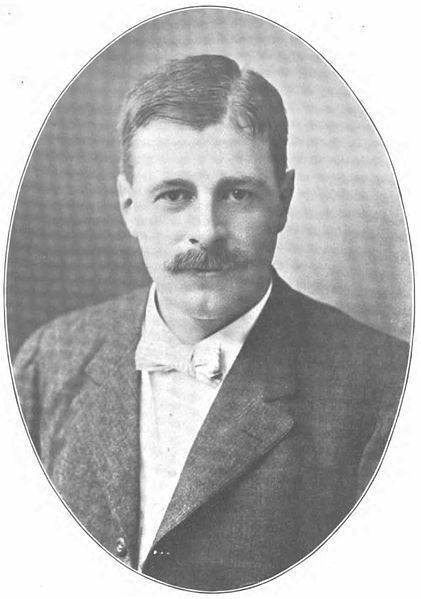 Hazen published some of the seminal works on sedimentation and filtration. He was President of the New England Water Works Association and Vice President of the American Society of Civil Engineers. This entry was posted in Year 3 TDIWH and tagged Allen Hazen, drinking water, filtration, Hazen-Williams coefficient, hydraulics, public health, water, water history on July 26, 2015 by safedrinkingwaterdotcom. July 25, 1799: James Simpson born. 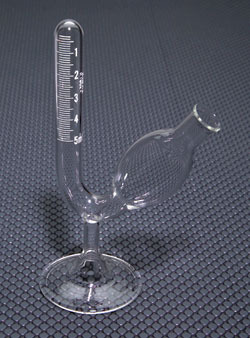 Simpson is one of the best-known filtration pioneers. He developed, built and put into operation the first slow sand filter in England. The filter was part of the Chelsea Water Works Co. which served part of London. Reference: Baker, Moses N. 1981. The Quest for Pure Water: the History of Water Purification from the Earliest Records to the Twentieth Century. 2nd Edition. Vol. 1. Denver, Co.: American Water Works Association, 99. This entry was posted in Year 3 TDIWH and tagged filtration, steam pump, water, water treatment on July 25, 2015 by safedrinkingwaterdotcom.